Mapleleaf Electric Inc is privately owned and operated from our present location in Toronto, Ontario. 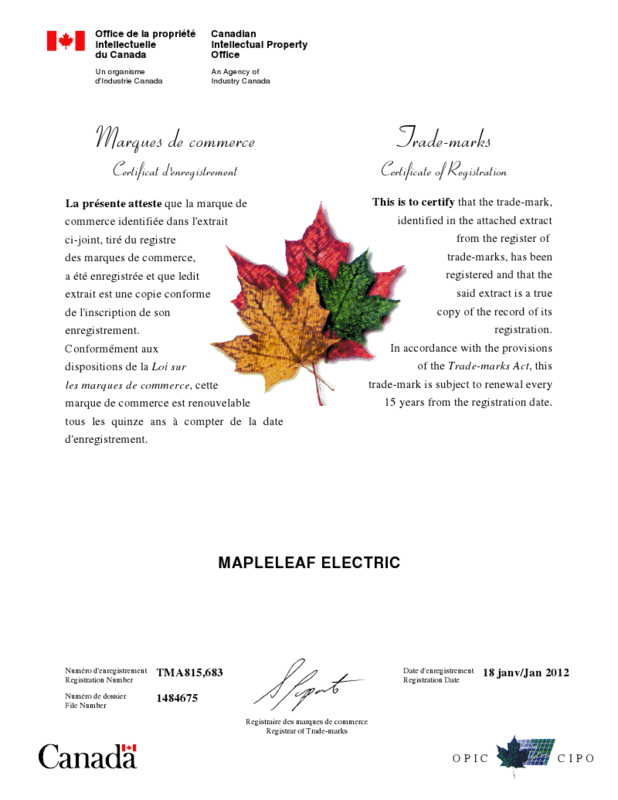 The name "Mapleleaf Electric" is Trademarked in Canada, which gives us the exclusive legal right to the name in Canada. The vision of Mapleleaf Electric ™ is to provide quality electrical solutions to any home regardless of shape or size, by adding character and value to your home. As a company, we have many years of experience in residential electrical services. We have earned the respect as a service company that responds to all requests, big and small, with the same commitment to get the job done right the first time. We are committed to long-term relationships with our clients; they stay because of the value and service we provide. Nothing is more important than knowing our employees treat every client and their homes with courtesy and respect. 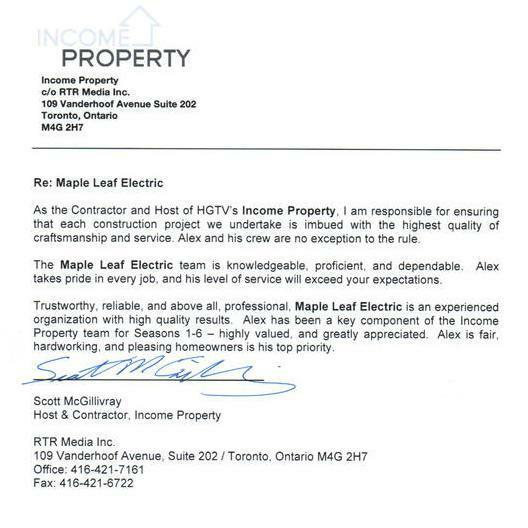 Copyright © 2014 Mapleleaf Electric Inc. All rights reserved.